Jerusalem (AFP) - Israel will pay damages to the church where Christians believe Jesus performed the miracle of loaves and fishes, after an arson attack by suspected Jewish extremists, the justice ministry said. 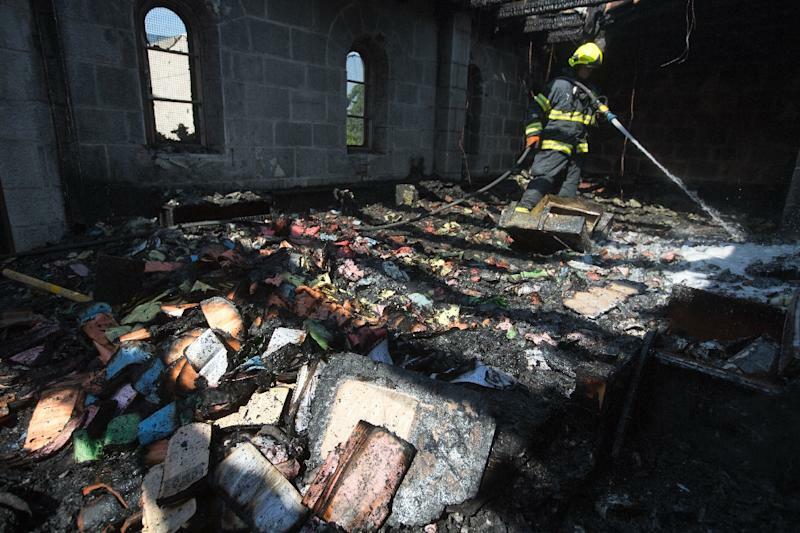 Attorney General Yehuda Weinstein decided the Church of the Multiplication in Tabgha "should be compensated for the damages caused to it by the arson, in accordance with property tax regulations," a statement said Monday. Two suspected Jewish extremists have been charged with the torching of the church on June 18. Tax authorities had initially refused the church's request for compensation, saying it was not clear that the attack was on "nationalistic" grounds. The justice ministry however determined that, based on the charges against the suspects, the attack was related to the "Israeli-Arab conflict" and instructed the church be compensated, Weinstein's office said. Church officials told AFP the sum requested was approximately seven million shekels ($1.7 million, 1.6 million euros). The arson attack, at the site where many Christians believe Jesus fed the 5,000 in the miracle of the five loaves and two fish, completely destroyed one of the buildings in the compound. The church itself was not damaged. Hebrew graffiti was found on another building within the complex, reading: "Idols will be cast out" or destroyed. Two Jewish extremists, Yinon Reuveni and Yehuda Asraf, were charged in connection with the arson and graffiti. A third, Moshe Orbach, was charged with writing and distributing a document detailing the "necessity" of attacking non-Jewish property and people as well as laying out practical advice to do so. The attack on the church, on the northwestern shore of the Sea of Galilee, sparked widespread condemnation and concern from Christians globally, with the site visited by some 5,000 people daily, while also drawing renewed attention to religiously linked hate crimes in Israel.